Is Moss Growing on the Roof? Why does the roof appear as if it is covered in shag carpeting? It is probably an infestation of moss. Although some buildings have purposeful green roofs, your house is not one of them. The moss that is sitting on the shingles is not helping the roof. The quaint appearance of moss might make it seem innocent. However, the growth on the roof might cause issues that you do not even know about. Moss sprouts up in damp conditions. As it sits on the roof, it’ll act as a sponge. Moss thrives on the dampness, and pulls it in. The water the moss holds against the roof will cause mold growth which extends into your house. A consistently moist roof which leaks into your attic also can result in rotting wood and severe structural damage. Not removing moss means the dampness stays put. The resulting issues may cost money in reroofing, repairs, or fees for a damage contractor. Moss removal is the only method of stopping the water problems that it is causing. Mold remediation might help temporarily. However, if you still have a layer of moss on the roof, the dampness will probably cause regrowth. The exact same goes for rotting wood and additional water-associated damage. To begin with, a do-it-yourself approach to removing moss is not suggested. A moist roof is slippery, particularly when it is covered with a mossy layer. Climbing on your roof to extract the mold is hazardous if you do not have the proper equipment or expertise. Leave the removal of moss up to the professionals. They understand how to fix the issue and fix any underlying problems, like damaged subroofing materials or replacing broken shingles. Roofing contractors will assess the roof’s individual needs and make a strategy for removal. It might involve physical removal of the plant life and chemical treatments. In conjunction with the issue of slippery safety, some removers of moss rely upon harsh chemicals. These also are better left to the pros. Misusing chemical moss cleaners will result in a health hazard or more roof damage. What Will Prevent Moss from Growing? Within an ideal world you would be able to control the dampness which reaches the roof. However, that will not happen. There isn’t any way to make the rain permanently go away, and this means you must handle the potential for the growth and regrowth of moss. 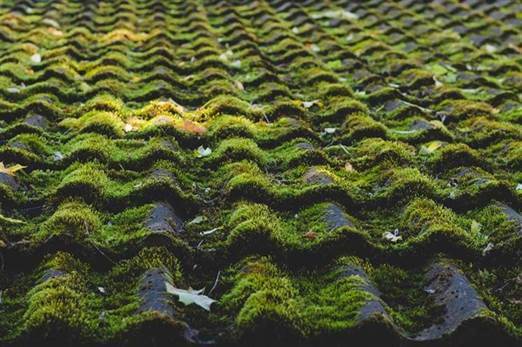 How might you prevent a re-infestation of moss after getting through the process of removal if you cannot stop dampness from building up on the roof? Metals like copper and zinc will stop growth of moss and keep it from returning later. A pro roofing contracting company will install metal strips (copper or zinc) on the roof. As rainwater washes over a roof, the metals rinse down the roof and stop the growth of moss from taking over or reappearing. It’s a non-chemical option to your roof infestation problems. For more information on our Winnipeg roofing company contact Roofco today!